After eight years as head chef of Bibendum, Jamie Younger brought his cooking talents to The Palmerston (formally The Lord Palmerston) in East Dulwich in 2004. On the corner of the main shopping street, Lordship Lane, and North Cross Road which has a lovely weekend market, The Palmerston is split into 'pub' and 'gastro' with two rooms fulfilling both distinct roles. Partnering with Paul Rigby, owner of The Sea Cow nearby, Younger transformed The Palmerston from a 'spit and sawdust' boozer to this well regarded gastro pub which was hailed as "a saviour of East Dulwich... Bringing the denizens highly accomplished seasonal cooking at decent prices" (The Independent) when it first opened. It's certainly a hit with the young professionals this area is home to. And dishes like grilled English calves liver, 28 day aged beef rib eye steak, confit duck leg with cabbage appeal to those looking for an indulgent (if expensive) meal out. Sister pub The Herne Tavern, also in East Dulwich, is somewhat different and far more family friendly with a large garden where the kids can run around. The Palmerston gyms, sporting activities, health & beauty and fitness. 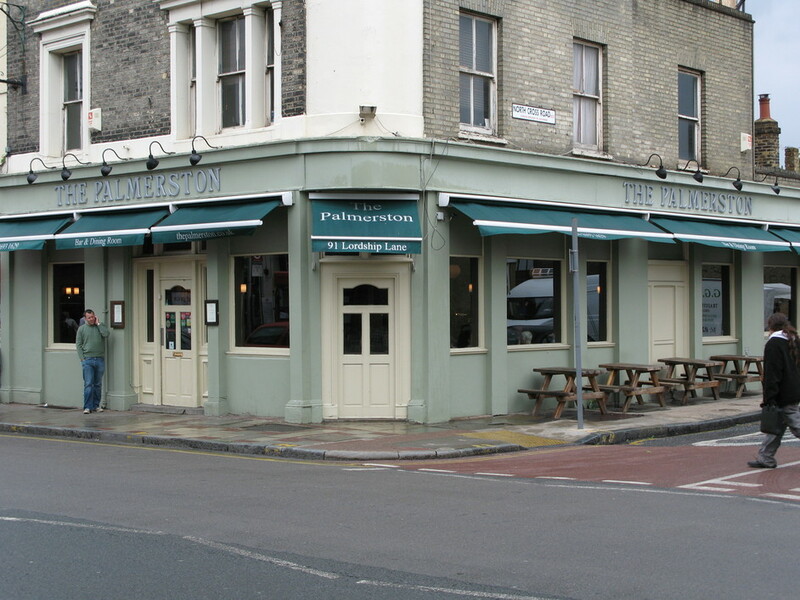 The best pubs near London The Palmerston. The Palmerston clubs, bars, cabaret nights, casinos and interesting nightlife. Where to have your meeting, conference, exhibition, private dining or training course near The Palmerston. From cheap budget places to stay to luxury 5 star suites see our special offers for The Palmerston hotels, including Club Quarters St Pauls Hotel from 62% off.